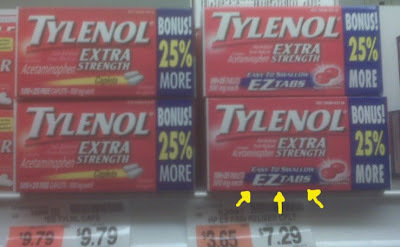 So, “easy to swallow*” doesn’t come standard with Extra Strength Tylenol? Really? Is that for all those people who like to chew the tablets? Hey douchebag, they should ALL be easy to swallow. Good enough for the late Marilyn Chambers, good enough for you’re damned headache! Try a liquid alternative if swallowing the tablet is hard. I would pretty much drink the liquid tylenol because I believe it also gives faster effect. My Rockford dental care partners told me that I can use this medicine whenever I experience toothaches.